MOSCOW. Sept 25 (Interfax) – Russian Communist Party leader Gennady Zyuganov has declared the necessity of a meeting between President Vladimir Putin and the political elites to discuss the domestic situation, including the possibility of scrapping the pension reform. “Once again, I insist that he [the president] gather influential people in the Kremlin so that we could discuss the unfolding situation,” Zyuganov told the press on Tuesday. It is still possible to annul the pension reform, he said. “The time for stopping this procedure [the hearing of the package of pension reform bills in the State Duma] is running out,” Zyuganov said. He believes the president can do that. The second hearing of the pension reform bill, including the presidential amendments that slightly mitigated the original draft prepared by the government, is due to take place on Wednesday. 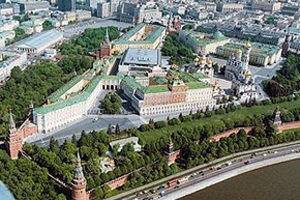 The bill might pass the third and final reading as early as on Thursday and will be submitted for the Federation Council’s approval after that. Should the Federation Council approve the bill, the president will have the final say and could either sign “the pension package” into law or turn it down.